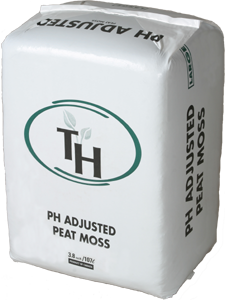 pH Adjusted Peat Moss | Theriault & Hachey Peat Moss Ltd.
pH adjusted peat moss is composed of top quality Canadian sphagnum peat moss in which the pH level has been adjusted using dolomitic and calcitic lime. pH adjusted peat moss contains no other ingredients, allowing you to control drainage and plant nutrient content by selecting your own ingredients. Please contact your local dealer or us for more information or any suggestions.